At least 100 women each donate $1,000. 100% of member’s donations are given directly to charity. Grants distributed in increments of $100,000. No time commitment required from members, but participation is encouraged. Finalists present their projects, members vote, & grants are awarded. Impact 100 was designed to be inclusive. It was designed to encourage philanthropy, empower women to see themselves as philanthropists and overcome the objections women had to community involvement. It was also designed for transformational grant making, with a minimum grant size of $100,000. For most people, a gift of $1,000 is a “stop & think” gift. For many of our members, it represents sacrifice and intentional budgeting to make a charitable gift of this size. That is by design. The goal is that each member feels connected to their giving – and to the transformational grants that are a result of their gifts. The year one goal is to have at least 100 women giving $1,000 (Impact 100 TC's goal is 200 women, resulting in two $100,000 grants). The longer term goal is to have at least 500 women give at this level so the organization can give one grant in each of the five Focus Areas. We value diversity. Impact 100 seeks to include women of every age (minimum age of 18), faith, marital status, race and ethnicity. We seek members who work outside the home in every profession and who are staying home with their families. Women who live in every neighborhood. Women who are experienced givers and those who have never given at this level before joining Impact 100. If a woman can afford to donate $5,000, she cannot buy five votes, she can buy five years of membership. The $1,000 donation goes directly into the grant-making pool, without any administrative costs taken from it. We ask (but do not require) women to give “110%” to Impact 100. When they give $1,100, the first $1,000 goes to the grant. The additional $100 (10%) goes to help cover administrative expenses. Other ways to cover administrative expenses include gifts from family and corporate foundations, gifts of any amount given by men,corporate matching gifts, sponsorships, in-kind donations, and donations from Friends of Impact 100. Friends of Impact 100 can be men, women or companies. These are non-voting supporters who give in any dollar amount. Impact 100 is run by volunteers. If paid staff is needed, those expenses are covered by special grants obtained expressly for that purpose. Leaders serve 2 or 3 year terms. It is important that an Impact 100 group leadership changes, especially the President(s). Maintaining a board member who holds the culture accountable to the original premise is extremely helpful to avoid mission drift. The minimum grant size is $100,000. For every increment of 100 members, the organization gives an additional grant. The idea is to connect each member to these transformational grants. She should feel a part of something significant. There are other organizations who make smaller grants. That’s not who we are. This means some finalists will walk away without any grant money. We distribute Wish Lists from all of our finalists to our members and our friends. Non-profits repeatedly tell us that they gain so much –even if they are not our grant recipient. The ripple effect is real. Wish lists get filled and they gain a network of passionate, connected women in the community. The way the calendar is designed, there is a period where the organization recruits members for the given year. Once the membership deadline has passed, the Impact 100 group announces how much money they have to give away to the nonprofits in the community. Impact 100 holds nonprofit information sessions where the grant process is explained. Grant requests are welcome for any purpose allowable under the IRS rules. In other words, we allow requests for capital, endowment, operating, etc. The members may not vote the request forward, but we try not to discourage applicants who need funds for these purposes. We do have financial thresholds for our nonprofits. They must be large enough to absorb a grant of $100,000 or more. 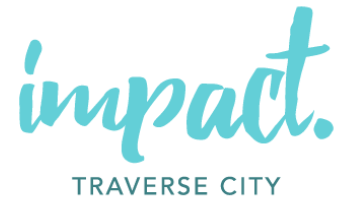 We do not place a revenue ceiling limiting larger nonprofits from applying for our grants.Nonprofits from around the region are invited to learn about Impact 100 and apply for a grant. Each nonprofit selects the Focus Area they believe most closely aligns with the organization the project/program for which they are seeking funding. Each nonprofit may only apply to one Focus Area per grant cycle. The Focus Areas are designed so that nonprofits addressing every need in your community can apply. Women who are passionate about any cause in your region will be represented in your grant application pool. Members who choose to be involved can serve on one of the Focus Area Committees. These committees review the grant applications. Members learn to vet the applications, ask discerning questions and complete site visits. Ultimately, the Focus Area Committees narrow their applicant pool to a finalist(s) that is presented to the voting members. All members receive an executive summary on each finalist along with their invitation to attend the Annual Meeting. All members receive an executive summary outlining each finalist and their grant request prior to the Annual Meeting. All members also receive Wish Lists from each Finalist. These lists include in-kind needs of each finalists and often outline other ways to assist the organization and its mission. Members who are not able to attend the Annual Meeting can vote by absentee ballot. At the Annual Meeting Finalists are asked to present for 10 minutes with only a microphone and a podium. No more than two presenters are allowed for each finalist. No hand-outs, no power points or other technology is allowed. We meticulously mandate a level playing field among our Finalists. Members cast a confidential ballot that ranks the finalists in preferential order (1st choice through 5th choice). Ballots are counted and validated. The grant recipient(s) are announced. Grant Awards are typically distributed over no more than 24 months. On-going communication and stewardship between Impact 100 and the grant recipient to ensure funds are used as described and agreed upon. Grant recipients must file timely reports as directed by Impact 100. Grant recipients must wait three years before re-applying for another grant. Finalists who are not selected may re-apply to Impact 100 without restriction.